Most voted party by autonomous community and province. 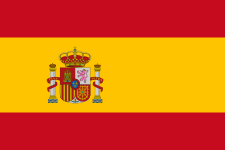 The 2004 Spanish general election was held on Sunday, 14 March 2004, to elect the 8th Cortes Generales of the Kingdom of Spain. All 350 seats in the Congress of Deputies were up for election, as well as 208 of 259 seats in the Senate. 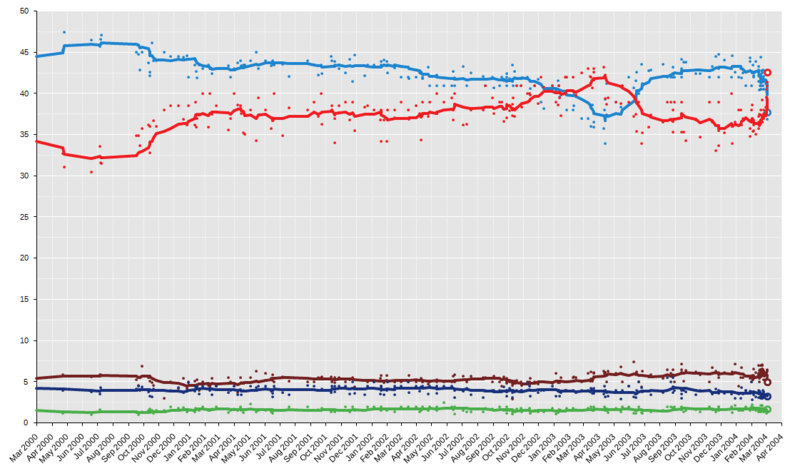 For the first time since the Spanish transition to democracy, none of the three main party leaders had previously led a general election campaign. The governing People's Party (PP) was led into the campaign by Mariano Rajoy, after outgoing Prime Minister José María Aznar had announced his intention not to seek a third term in office. The opposition Spanish Socialist Workers' Party (PSOE) was led by José Luis Rodríguez Zapatero, while Gaspar Llamazares stood as United Left (IU) candidate. The electoral outcome was heavily influenced by the aftermath of the 11 March 2004 Madrid train bombings. For the remaining days before the election, the PP government kept claiming evidence that the terrorist organization ETA was responsible for the bombings. However, it soon became evident that the bombings had not been authored according to ETA's modus operandi, and new evidence pointed out to an Islamist attack with possible links to al-Qaeda. The government was accused of hiding information so as to prevent linking the attack to Islamist groups, as it would have been seen by the Spanish public as a consequence of the PP government taking Spain into the unpopular Iraq War, weakening its chances to being re-elected in the incoming election. Large demonstrations were held across Spain and protests were organized in front of several PP party headquarters the day previous to the election. In the event, the election result took many by surprise. The PP had been shown to lead all opinion polls conducted before March 11, although its lead over the PSOE had started to narrow as the campaign advanced. The PP government's handling of the 11-M bombings is thought to have accelerated this trend and to have caused a last-minute voter mobilization in favour of the PSOE as a form of protest against the PP. The Socialists ended up leading with an unexpected 5-point margin and a record 11 million votes, the most votes garnered by any party in a Spanish political election up until that date (and only surpassed by PSOE's result of 2008). The day after the election, Zapatero announced his intention to form a minority PSOE government, without a coalition, saying in a radio interview: "the implicit mandate of the people is for us to form a minority government negotiating accords on each issue with other parliamentary groups". Two minor left-wing parties, Republican Left of Catalonia (ERC) and IU, immediately announced their intention to support Zapatero's government. 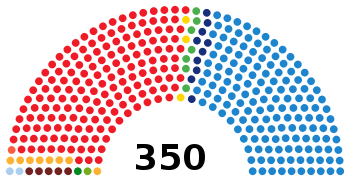 On April 16, 2004, Zapatero got the approval of the outright majority of the new Congress, with 183 out of 350 members voting for him, and became the Prime Minister of Spain the next day. The lower chamber, the Congress of Deputies. The upper chamber, the Senate. This bicameral system was regarded as asymmetric, as while legislative initiative belonged to both chambers—as well as to the Government—the Congress had greater legislative power than the Senate, and it could override most of the Senate initiatives by an absolute majority of votes. Furthermore, only Congress had the ability to grant or revoke confidence from a Prime Minister. Nonetheless, the Senate possessed a few exclusive, yet limited in number functions which were not subject to the Congress' override. Settled customary practice had been to dissolve and hold elections for both chambers at the same time, thus triggering a "general" election. Article 115 of the Spanish Constitution allowed, however, for each chamber to be elected separately. The electoral system in Spain was on the basis of universal suffrage in a secret ballot. For the Congress of Deputies, 348 members were elected in 50 multi-member districts using the D'Hondt method and closed-list proportional representation for four-year terms. In addition, Ceuta and Melilla elected one member each using plurality voting. Each district was entitled to an initial minimum of two seats, with the remaining 248 seats being allocated among the 50 provinces in proportion to their populations. Only lists polling above 3% of the total vote in each district (which included blank ballots—for none of the above) were entitled to enter the seat distribution. However, in most districts there was a higher effective threshold at the constituency level, depending on the district magnitude. For the Senate, each of the 47 peninsular districts (the provinces) was assigned four seats. For the insular provinces, the Balearic Islands and Canary Islands, districts were the islands themselves, with the larger—Mallorca, Gran Canaria, and Tenerife—being assigned three seats each, and the smaller—Menorca, Ibiza-Formentera, Fuerteventura, Gomera, Hierro, Lanzarote and La Palma—one each. Ceuta and Melilla were assigned two seats each, for a total of 208 directly elected seats. The system used was that of limited voting. In districts electing four seats, electors could vote for up to three candidates; in those with two or three seats, for up to two candidates; and for one candidate in single-member constituencies. Electors voted for individual candidates; those attaining the largest number of votes in each district were elected for four-year terms. In addition, the legislative assemblies of the autonomous communities were entitled to appoint at least one senator each, and one senator for every million inhabitants, adding a variable number of appointed seats to the 208 directly elected senators. This appointment usually did not take place at the same time as the general election, but after the autonomous communities held their respective elections. Dual membership of both chambers of the Cortes or of the Cortes and regional assemblies was prohibited, meaning that candidates had to resign from regional assemblies if elected. Active judges, magistrates, ombudsmen, serving military personnel, active police officers and members of constitutional and electoral tribunals were also ineligible, as well as CEOs or equivalent leaders of state monopolies and public bodies, such as the Spanish state broadcaster RTVE. 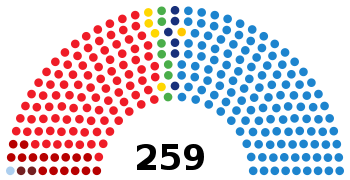 Additionally, under the Political Parties Law, June 2002, parties and individual candidates could be prevented from standing by the Spanish Supreme Court if they were judicially perceived to discriminate against people on the basis of ideology, religion, beliefs, nationality, race, gender or sexual orientation, foment or organise violence as a means of achieving political objectives or support or compliment the actions of "terrorist organisations". Parties and coalitions of different parties which had registered with the Electoral Commission could present lists of candidates. Groups of electors which had not registered with the Commission could also present lists, provided that they obtained the signatures of 1% of registered electors in a particular district. 1 2 Spanish Socialist Workers' Party results are compared to the combined totals of the PSOE and CREx–PREx in the 2000 election. 1 2 United Left results are compared to the combined totals of IU, IC–V and SIEx in the 2000 election. ↑ Alliance of PSC (8 elected seats), ERC (3 elected seats) and ICV–EUiA (1 elected seat). ↑ "Article 66 Summary". Retrieved 2015-10-27. ↑ "Effective threshold in electoral systems". Trinity College, Dublin. Retrieved 2015-10-21. ↑ "Royal Decree 100/2004, of 19 January, of dissolution of the Congress of Deputies and Senate and of the calling of elections" (PDF). Boletín Oficial del Estado (in Spanish) (17): 2115–2116. 20 January 2004. ↑ "General Aspects of the Electoral System". ↑ "The Spanish Constitution of 1978". 1 2 "Law governing electoral procedures". noticias.juridicas.com. Retrieved 2011-03-06. ↑ "Law regarding registration of political parties". Retrieved 2011-03-06. Chari, Raj (November 2004). "The 2004 Spanish Election: Terrorism as a Catalyst for Change?". West European Politics. 27 (5): 954–963. doi:10.1080/0140238042000283247.